On 18 January, the cardinal presides over the episcopal ordination of Fr. Najib Mikhael Moussa, Archbishop of Mosul and Fr. Robert Jarjis, auxiliary in Baghdad. The Muslims are happy for the return of "a Christian leader." Reconciliation, trust and reconstruction the challenges to be faced: the meeting with Javad Zarif, Iranian Foreign Minister and the common concern for the embargo. 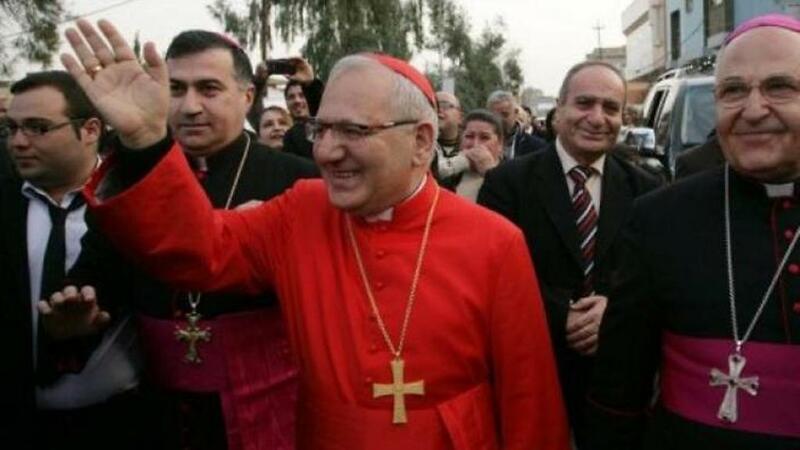 Baghdad (AsiaNews) – “A day of celebration" for the Iraqi Church and for the whole country and a confirmation of "the dynamism and vitality" of the Christian community, capable of "facing and overcoming the thousand challenges that arise every day". This is how Chaldean patriarch Card Louis Raphael Sako points out to AsiaNews, recounting the atmosphere at the heart of two important episcopal ordinations. On 18 January, the Cardinal will preside over the consecration of Dominican father Najib Mikhael Moussa, the new Archbishop of Mosul and Fr. Robert Jarjis, auxiliary bishop of Baghdad (Babylon of the Chaldeans). 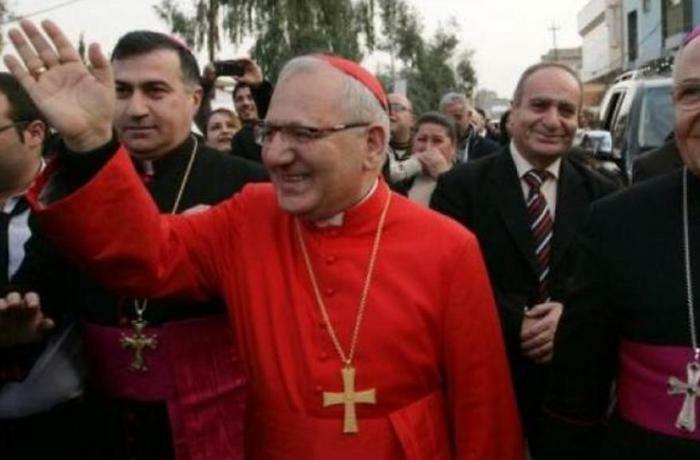 For the Chaldean primate, the nomination of Mosul has a particular meaning, because "it is a source of hope" for the whole local community. "Many Muslims called me the day after the news - says the cardinal - and they expressed their joy in having a Christian authority in the city. The bishop must bring happiness, must be a source of confidence in the future in a reality that is struggling to emerge from a huge devastation". Fr. Najib, originally from Mosul where he was born on 9 September 1955, will have to face "a huge challenge and a very serious mission with great responsibility" admits Card Sako, who also adds that "he will be able to do a lot" for the good of the city . "He knows the reality well - he explains - and can boast many friendships and a significant network of personal relationships" also with Muslims. During the years of occupation of the Islamic State (IS, ex Isis) the Dominican father (ordained priest on May 16, 1987) contributed to the work of support for the displaced persons of Mosul and the plain of Nineveh. Thanks to his training as an archivist, he safeguarded part of the cultural heritage (Christian and otherwise) of the northern metropolis from destruction. "The two factors which he must insist on - underlines the Chaldean primate - are reconciliation and trust among the people of the city, lost due to the violence of ISIS and fundamentalist ideology. The new bishop has the task of restarting the dialogue and of encouraging the Muslims themselves to reconciliation and reconstruction. Reconciliation and trust, in a perspective of lasting peace ". Finally, he will have to help Christians "to reconnect the threads of history in Mosul, to revive churches and places of worship, some of which are among the oldest and most important for the Chaldean Church. They are part of the life and history of the city ". Together with Fr. Najib, Fr. Robert Jarjis, 45, will also be consecrated. With a background in veterinary studies, he has been at the head of the parish of Our Lady of the Assumption in Mansour, Baghdad, for seven years, in and, parish priest of the Cathedral of St. Joseph. "The overall situation in Iraq is improving - explains Mar Sako - and these appointments confirm it". The problems related to the economy, the lack of work, but at the same time there are "positive notes, such as the return of 16 thousand families in Mosul and in the Nineveh plain. In Iraqi Kurdistan, in Erbil, Dohuk and Sulaymaniyah, there are still 4 thousand families but it is only a small part. It is coming back to life". 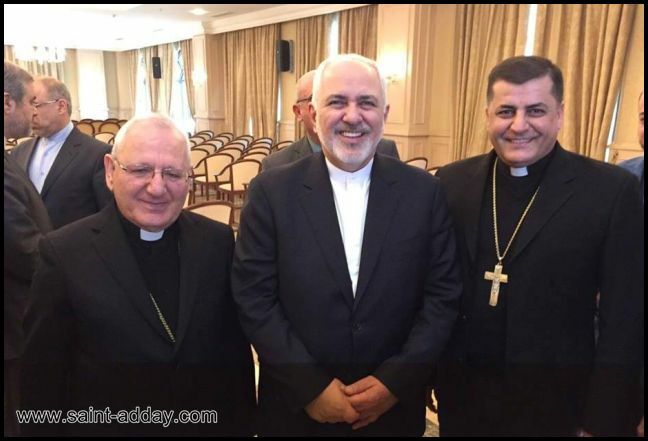 The Cardinal’s concluding remarks regard the January 14 meeting (in the photo) with the Iranian Foreign Minister Mohammad Javad Zarif, author of the nuclear agreement cancelled in recent months by US President Donald Trump, who also introduced new sanctions against Tehran. "We spoke of peace, of coexistence - underlines the Chaldean primate - among all the components of the country, as well as the role of Christians in Iran, who inhabited Persia before the arrival of Islam. He is a man of dialogue, who knows how to listen, and has not hidden the shared concern for the embargo which, as we know very well in Iraq, which above all affects the civilian population. 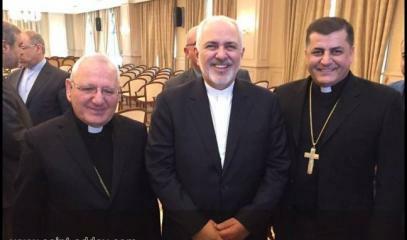 Fears also shared by the two Iranian bishops, Teheran and Urmia who confirmed their concerns during the meetings".